Every morning when I’m home in San Diego, I go to a gym to work out with a trainer. His name is Todd Durkin, and he’s one of the best trainers in the country — and one of the best things that’s happened to me in recent years. Besides the fact that he’s an incredible physical fitness expert and a dynamic motivator, Todd is also a Christ-follower. Todd and I often talk about the similarities of physical training and spiritual training. Recently we were talking about weight lifting and the two different approaches athletes adopt when they’re in training. Here’s what I learned: Heavy weights, lifted fewer times in succession, produce greater strength. Lighter weights, lifted with more repetitions, produce greater endurance. When it comes to life, most of us can lift a heavy weight if we only have to do it once or twice. In other words, major problems that come and then go away quickly may be painful, but they are usually manageable. For me, it’s not the big problems that are the hardest. For me, the problems that are the toughest to overcome are the problems that never seem to get solved… the ones that keep coming back. God wants us to be strong men and women of faith. To achieve that, I believe we must become men and women of resilience and endurance. If I cannot stand strong under the adversity of unrelenting pressure, I’ll lose the joy of the journey. The complexity of life can make our journey feel like the extreme obstacle courses and endurance runs we see on television. These games, whose competitors are people like us, are a metaphor for life today. The overwhelming pressures of our lives are symbolized by the near- impossible feats they must face. We identify with those “average superhuman” athletes. Their stories inspire and encourage us. If they can endure, we can endure. If they can hang on by their fingertips, maybe we can too. 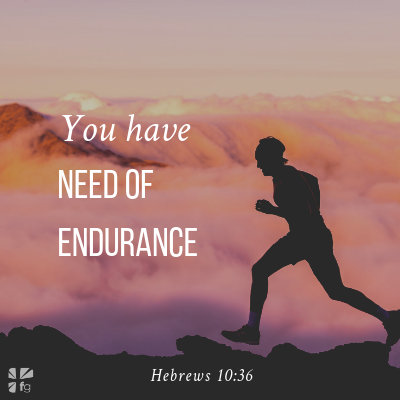 You have need of endurance. What’s your reality? Are you battling stubborn illness, physical weakness, or chronic pain? Is your athletic career plagued by recurring injuries? Maybe your heart is broken over a relationship that ended in disappointment. Perhaps you’re worried about your marriage or anxious about your children. Are you grappling with tension in your workplace or division in your church? Are you exhausted? Working too hard? Perhaps you’ve made a mistake that troubles you, or you’ve been victimized in a way that’s left you traumatized. Peter told the people of his day, “Dear friends, don’t be surprised at the fiery trials you are going through, as if something strange were happening to you” (1 Peter 4:12 NLT). I’ve told thousands of people the same thing. It’s still some of the best advice out there. Trials and sufferings aren’t unique to you or me; they’re the common lot of all humanity. That’s why God wants us to cultivate the virtue of “longsuffering” in our lives (Gal. 5:22). That’s why God wants to infuse us with a “can- do” attitude, with supernatural endurance, perseverance, and resilience. You and I cannot give up— not for a moment. Leo Tolstoy, War and Peace (UK: Penguin Books, 2005), Kindle location 23463. 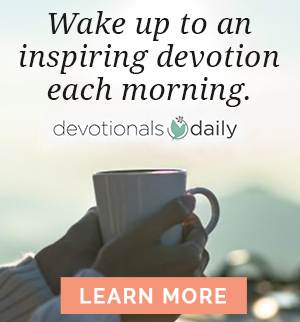 Excerpted with permission from A Life Beyond Amazing by David Jeremiah, copyright David Jeremiah. 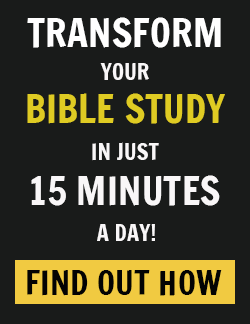 Are there ways in which you’ve been “spiritually training” in the wrong ways? Where you’ve tried to exert more strength but really more endurance is needed? What challenges in your life do you feel God is calling you to endure? We’d love to hear you thoughts in the comments!